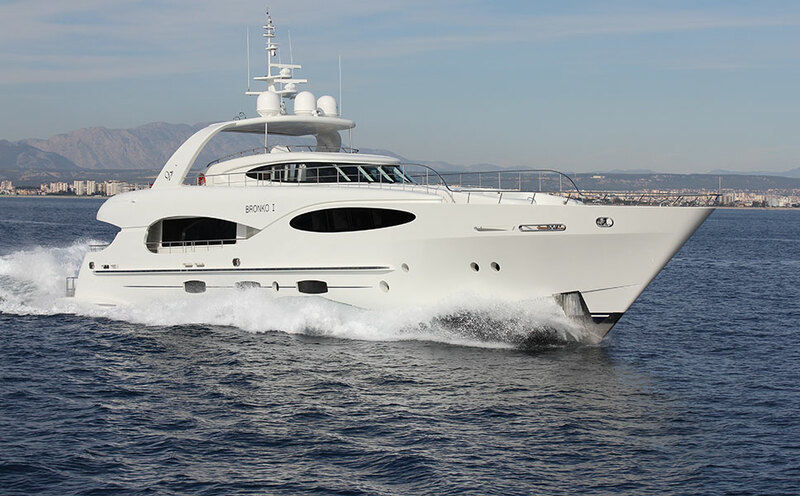 The 32M Raised Pilothouse is a 5 stateroom epoxy/corecell Frank Mulder design MotorYacht. 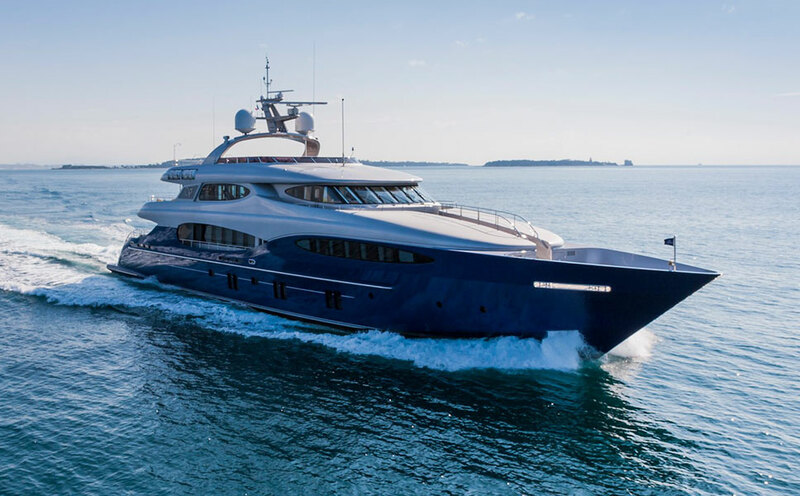 Frank Mulder has designed a totally unique yacht with easy access to the foredeck from the boat deck on the port side with the main deck on the starboard side, creating a full beam, on-deck master stateroom. 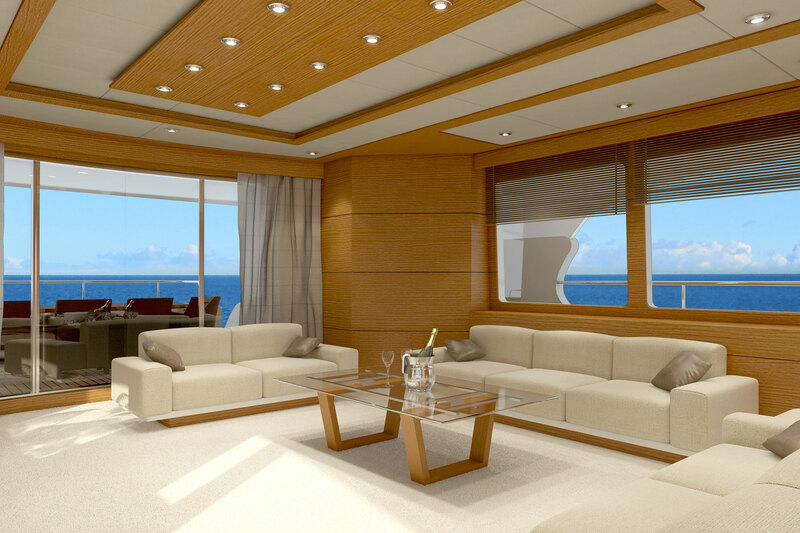 In addition to 5 guest staterooms, the yacht has 2 crew cabins with ensuite heads which has access from the galley. 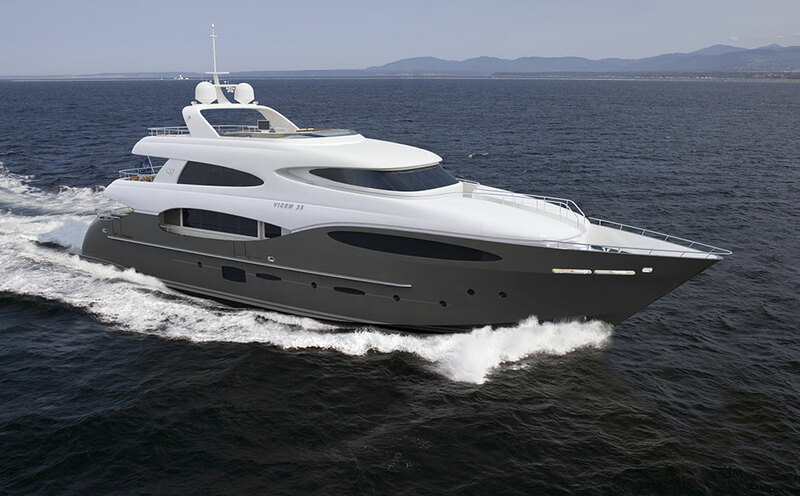 The main tender is on the flybridge deck, and there are 2 wave runners in a transom garage.